The town of Rathkeale is situated about 14 miles from Limerick City, on the N21 that runs from Limerick to Tralee. 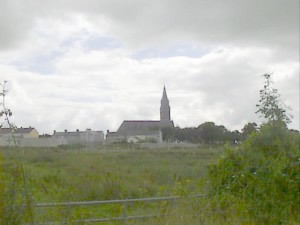 Together with the town of Newcastlewest, it is one of the two main centres in the west of the diocese. Rathkeale parish today: Click here to go to the Rathkeale parish website.